Nicholas Roe is Wardlaw Professor of English Literature. 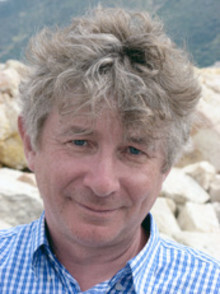 He is the author of critically acclaimed biographies and studies including 'John Keats: A New Life, Fiery Heart: The First Life of Leigh Hunt', 'Wordsworth and Coleridge: The Radical Years', and 'John Keats and the Culture of Dissent'. He was born in 1955 in England's West Country, and lived for many years on the edge of Dartmoor at Yelverton and Clearbrook. He was educated at the Royal Grammar School, High Wycombe (1967-74), and Trinity College, Oxford (1975-82), before joining the English Department at Queen's University, Belfast(1982-5). He is a Fellow of the British Academy, a Fellow of the Royal Society of Edinburgh, and an Honorary Fellow of the English Association. He was a Trustee of The Keats-Shelley Memorial Association 1997-2015 and of The Wordsworth Trust 2010-2017. He is Chair of The Keats Foundation, and a trustee of The Wordsworth Conference Foundation. His most recent book is an edited collection, 'John Keats and the Medical Imagination' (2017).